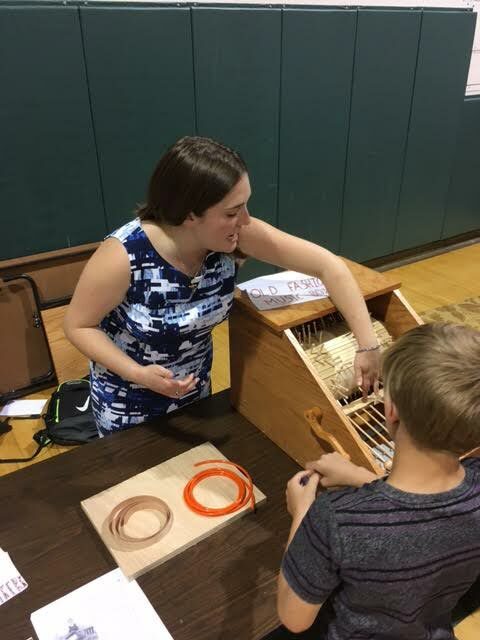 Sarah Reitkerk and a music box she built. 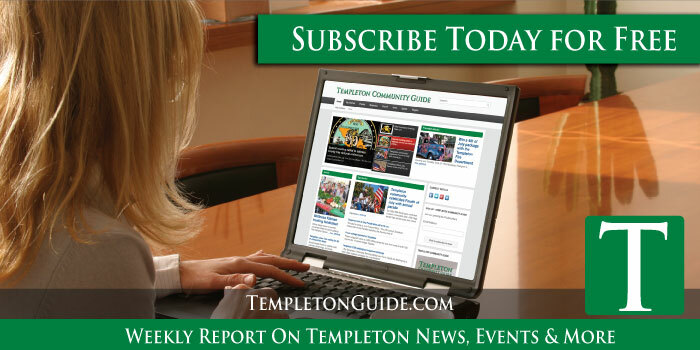 More than a thousand people turned out Wednesday afternoon for the Maker Faire at Templeton High School. Developed by engineering and physics teacher Jason Diodati, the Maker Faire gives students the opportunity to show off projects they made themselves. These projects included a 1963 Ford Fairlane renovated by Burke Gehrung, a music box by Sara Rietkerk, skateboards, guitars, riding lawnmowers built for racing and a plethora of drones. 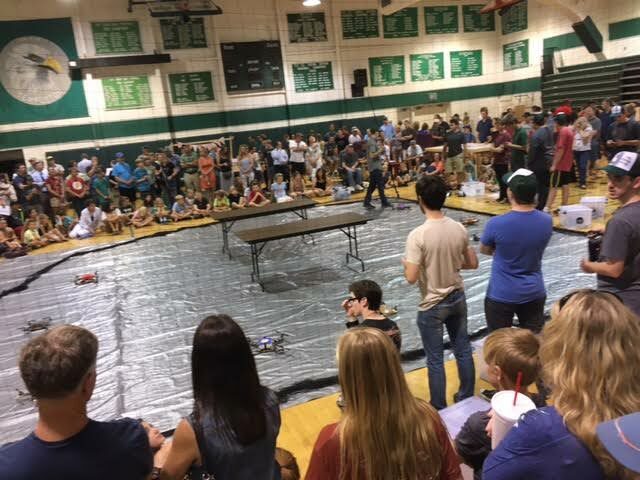 The drones battled it out in the Faire’s spectacular main event in the high school gymnasium. A battle of drones was held in the gym. Jason Diodati says the intent is to inspire students to make things themselves. He says the students work on the projects all year. He provides guidance, but he says they learn more from the experience if they solve their own problems. Sarah Rietkirk saw old-fashioned music boxes when her school concert band traveled to New Orleans last year. She researched how to make one and built it. 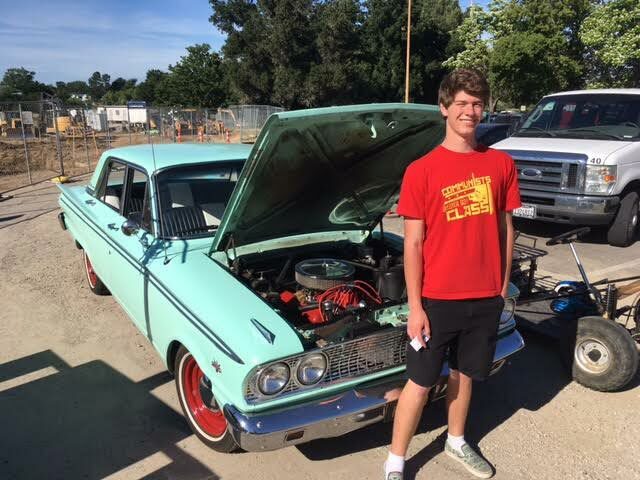 Burke Gerhung says he learned a lot about communication and negotiation as he located parts for his first car, the ’63 Ford Fairlane, which he and his dad rebuilt. 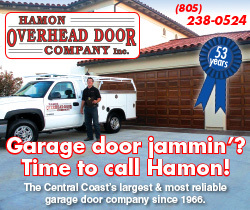 He says it now runs great. Burke Gehrung and his 1963 Ford Fairlane.